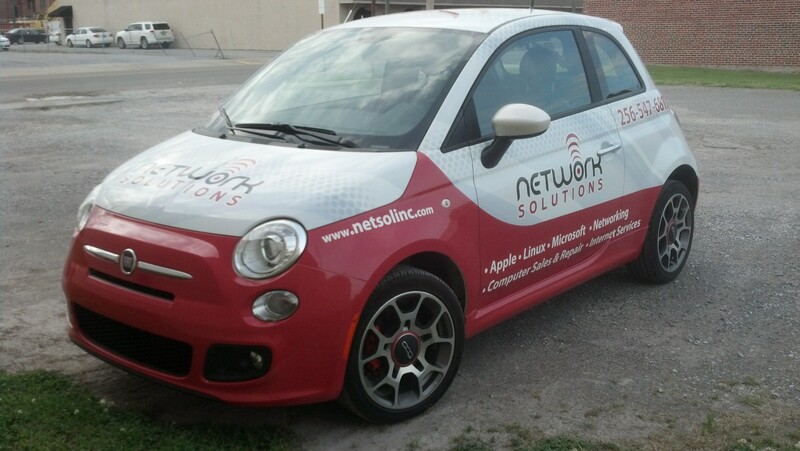 We just finished getting the newest edition to our fleet wrapped and ready to go! It is a new Fiat 500 and we think it adds a new and distinct look to our fleet. We designed the wrap to look much like our current Ford Transit Connect vans. Much of the time, our technicians don’t need a full van to bring the equipment they need onsite, so the smaller car gives us the option of improved gas mileage and efficiency to help reduce our costs which help us keep down our customers’ costs. 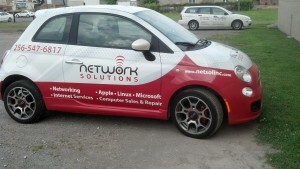 So, keep an eye out for us on the road and keep us in mind for all of your computer needs!